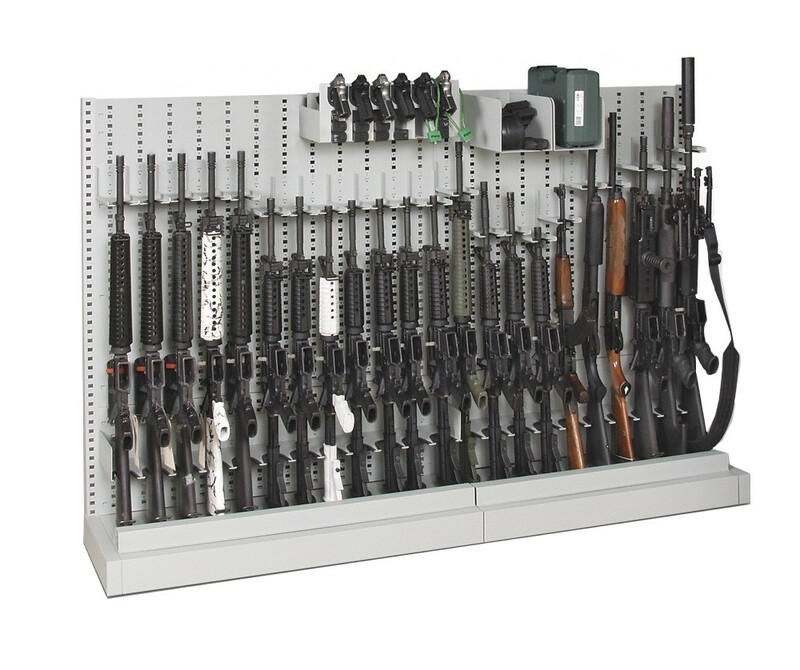 Our full line of storage racks give you the option of standing storage within a secure weapon lockup space or a standalone lockable cabinet system. 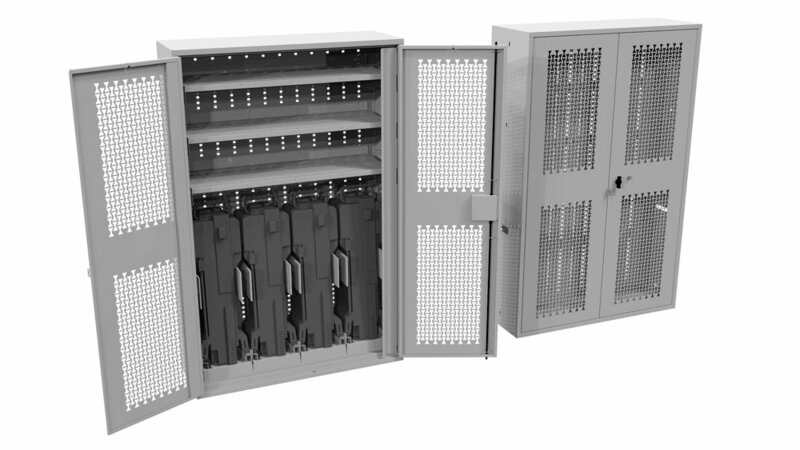 All versions employ the same modular back panel system which allow you to customize your storage and change it as needed. Cabinets can be fastened to walls for added security. 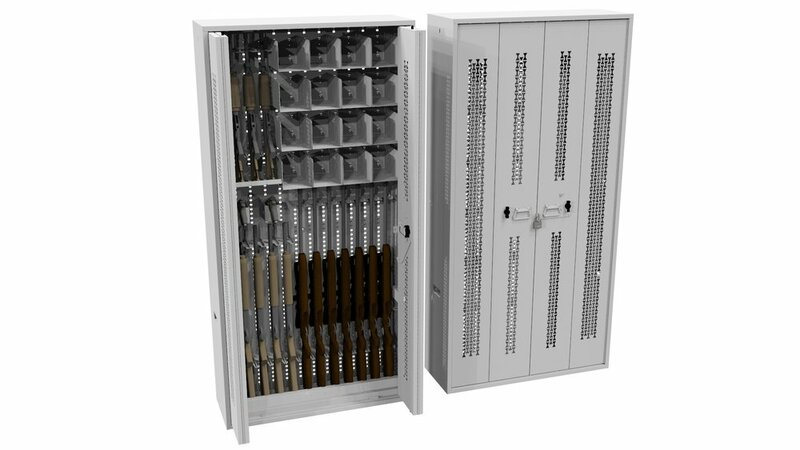 All cabinets come with an integrated lock mechanism/keys and a welded hasp ready to accept an ABLOY or similar lock. 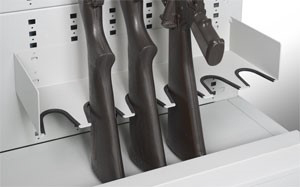 Customize a cabinet to store rifles, pistols and shotguns in the same convenient location. Ventilated doors allow for quick visual confirmation of arsenal. 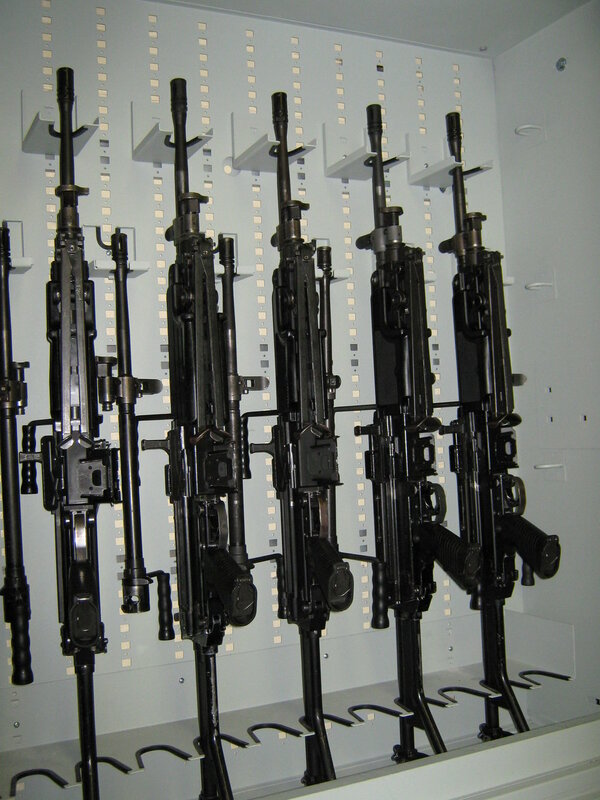 Weapon cabinets feature fully welded housing and intergrated ABLOY locks as per Canadian Federal Government Standards. 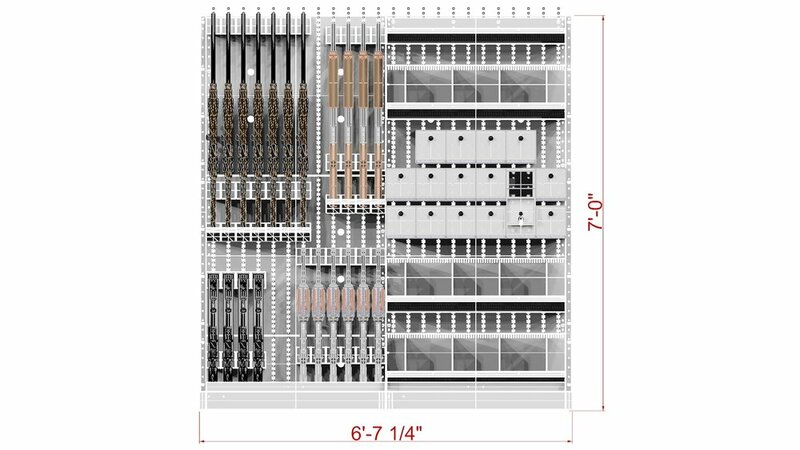 Hundreds of Configurations and layout options available. 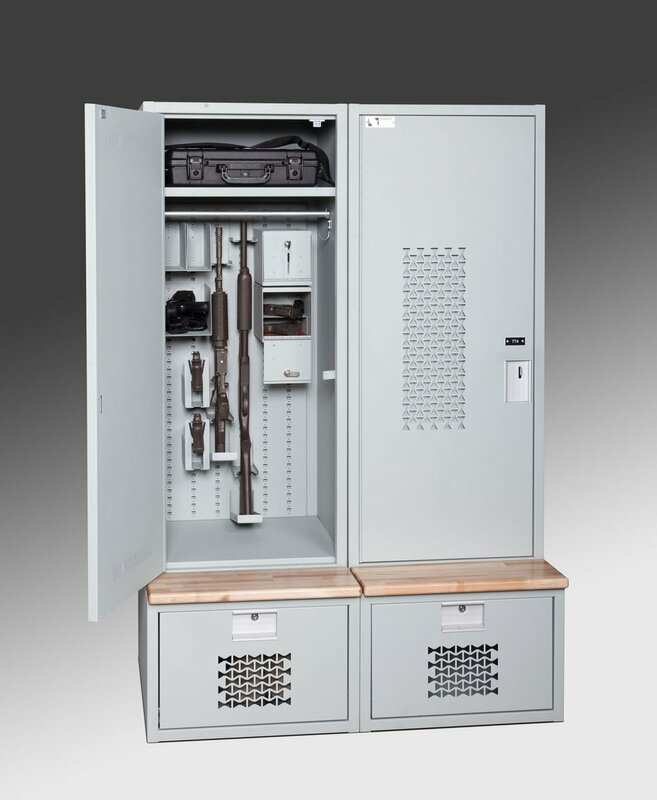 Storage Systems optimized for weapon and specialized equipment storage. 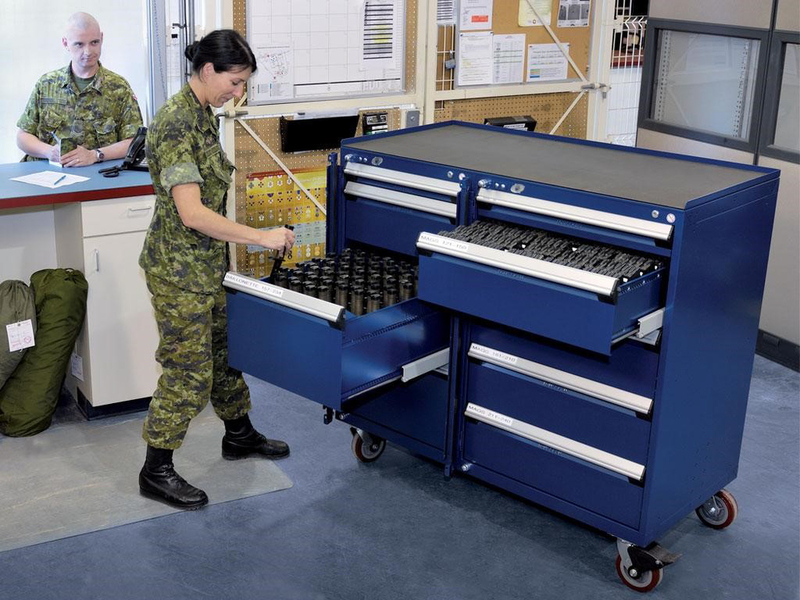 Combining security and mobility, the storing of weapons in a mobile cabinet allows for quick sign out and return to the weapons stores team. 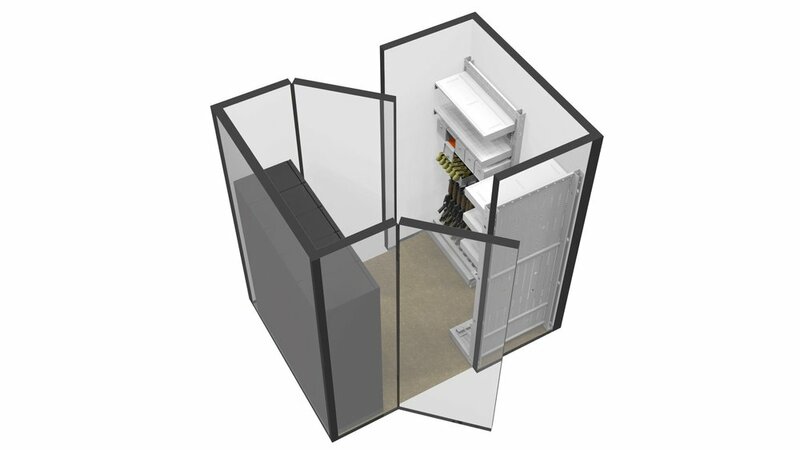 Mobile Shelving Systems provide maximum storage, maximizing limited secure space. 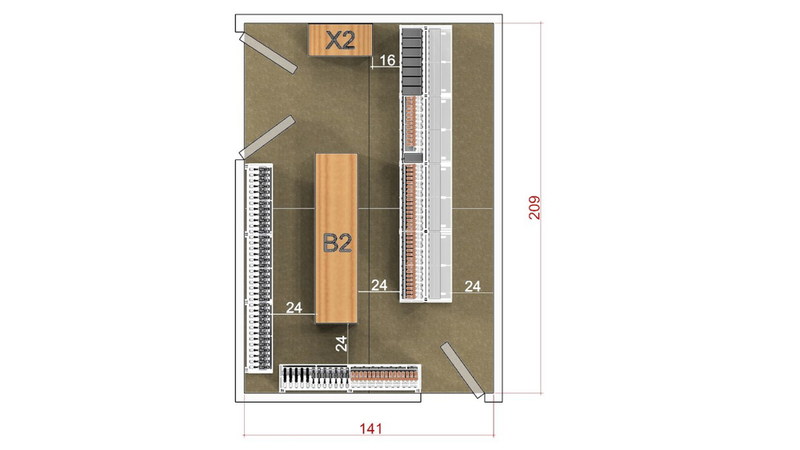 This application is ideal for facilities low on floor space and looking to increase their storage capacity without renovating or moving storage to a new location. 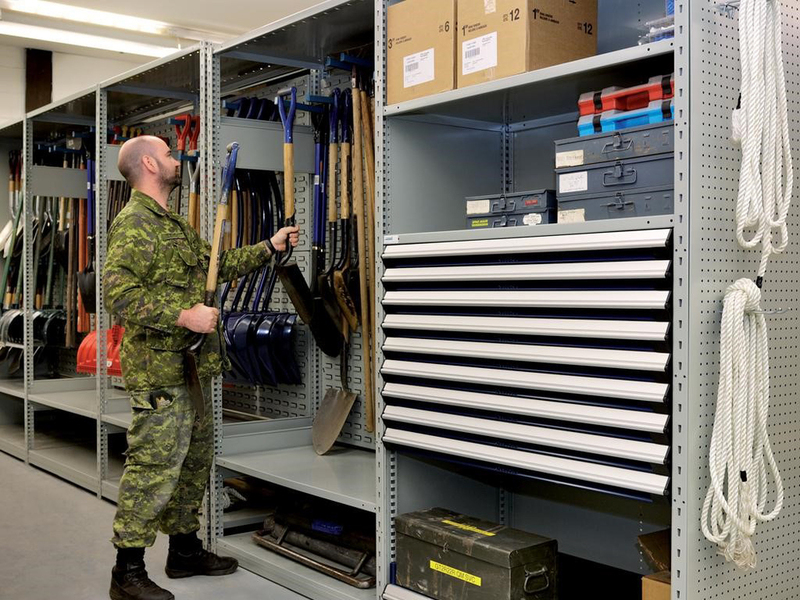 Drawers Systems may be used to store all types of equipment, keeping items organized easily accessible and secure. 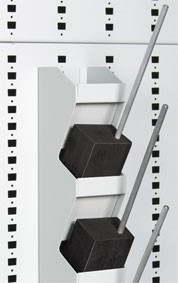 Cabinets and individual drawers can be keyed with separate locks, tailoring your access to limited personnel as required. 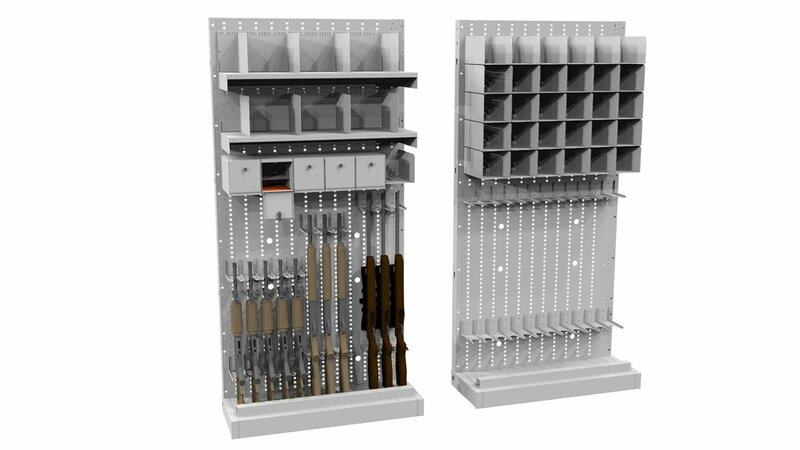 Our Shelving Systems incorporate drawers, adjustable shelving and customizable pegboard back panels to accommodate your unique storage needs. 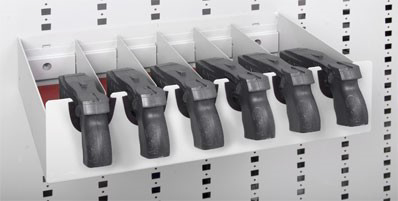 As your storage requirements evolve over time, so does our system, allowing you to make configuration changes in seconds. 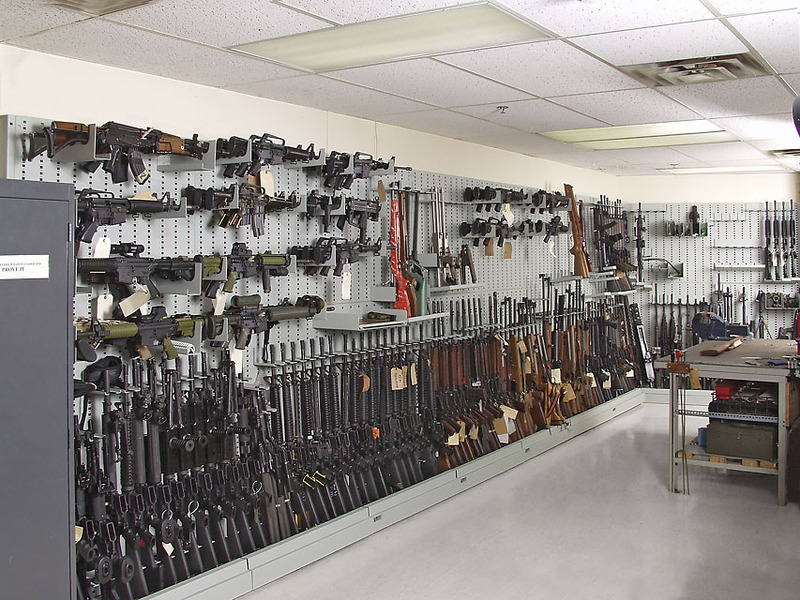 Storage solutions are available for magazines, Tasers, bolts, weapons systems, bayonets, optics and other equipment requiring security. 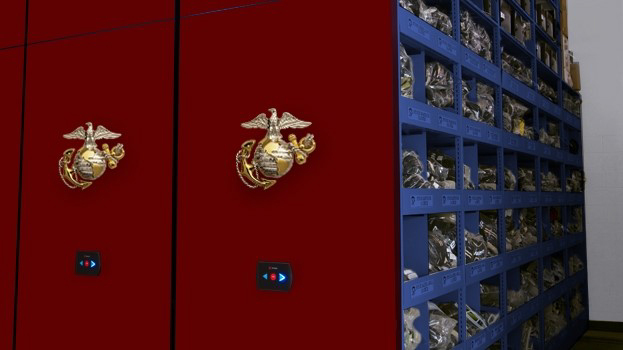 Three locker types to display and promote. 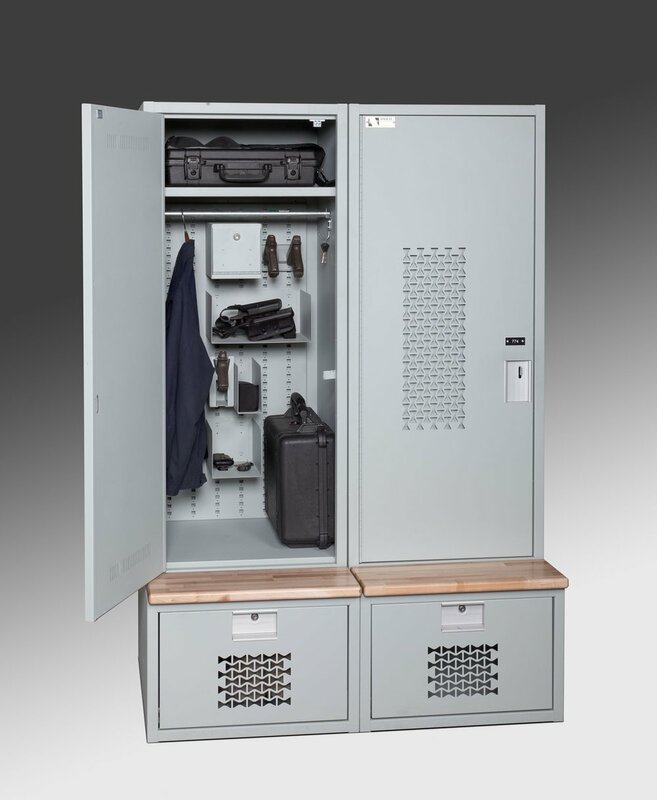 Our line of Professional lockers provide a wide variety of solutions for securing gear, weapons and specialized equipment. 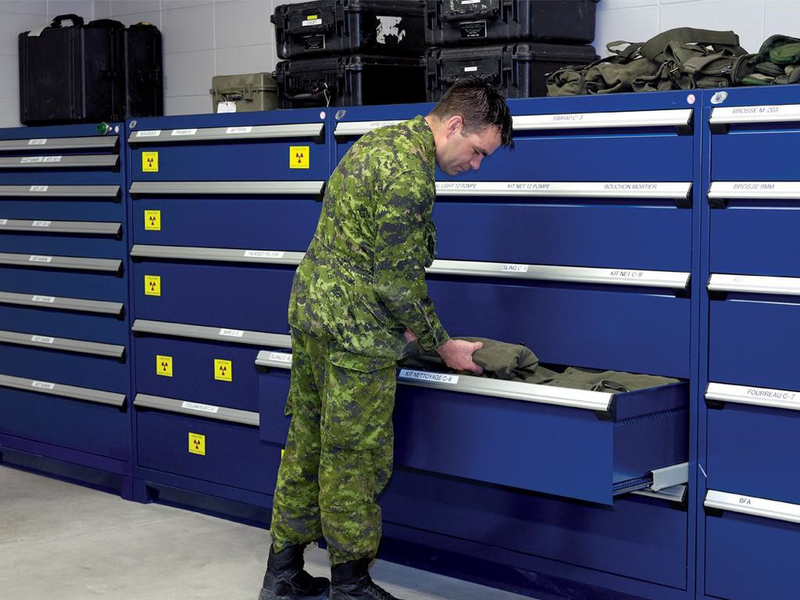 Secure and highly visible storage for all professional applications. Store weapons, gear and equipment in one locker. Includes bottom drawer and bench. 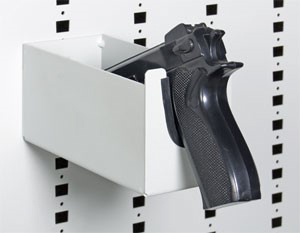 Allow us to design you storage space to make full use of a weapons lockup or evidence storage room.